From watches to shoes, wearable technology is slowly but steadily making its way into the everyday life of consumers. Building upon traditional data collection methods while integrating wearable technology trends, Disney introduced the Magic Band® [from here on out referred to as Magic Band(s) or Bands] in beta testing in 2012 and more widely beginning in 2013. 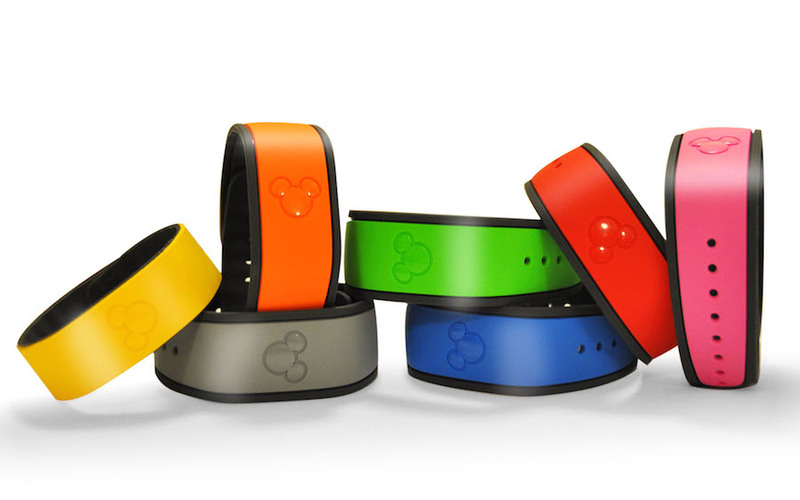 Park guests can use the Bands as their room keys at Disney resorts, book FastPasses®, and as admission into the parks. Connecting your Magic Band to the My Disney Experience mobile application and website allows for the park guest or passholder to do much of what a telephone representative used to do. Even while in the car, a park guest can book FastPasses and once in the park, the Magic Band can be used to access (or validate) the booked FastPasses. The Magic Band is the Disney guest’s key to the kingdom, so to speak. But, beyond the more superficial functionality of the Magic Band, what other data is collected by the media giant? And furthermore, how and does the data affect business decisions in the other investments Disney has in media, technology, and entertainment? Looking into the data collection methods of the Magic Bands requires looking into a relatively new breed of data and collection methods referred to as smart data. Smart Data can be described as simply as big data with the addition of emotion behind it (Ball, et al, 2015). Smart Data allows companies to understand consumer behavior beyond just a set of numbers or algorithms. Smart Data provides realtime information to the company in order for the company to be preemptive and predictive, knowing where the consumer has been, is currently or will be going by reflecting present decisions on past decisions. This data opens a window into the mind and soul of the customer by tracking behaviors from online buying to peer-to-peer conversations (Ball, et al, 2015). The brilliance behind the design in the Magic Band is the ability for the Walt Disney Company use smart data as a way to put smiles on the faces of its customers—well, most of the time anyway. But does this brilliant design come at a cost of privacy? Prior to investigating the privacy issues with this smart form of data collection, it is important to look at the design and implementation itself. The goal in the creation of the Magic Band system was to mitigate, with the eventual goal of elimination, the fiddling around with admission tickets/passes, forms of payment, room keys, FastPasses, and dining reservations all the while increasing personal/interpersonal interaction and time with family and friends without the hassle of the aforementioned (Kuang, 2015). All the tasks and elements of a typical Walt Disney World Resort® vacation can be handled and processed by the Magic Bands. Disney Magic Bands look like an unassuming rubber bracelet, and that is part of the magic. “The most remarkable thing about the Magic Bands is the fact that they don’t feel remarkable” (Kuang, 2015). Behind the colorized or photo-covered rubberized band is an RFID (radio frequency identification) chip and GPS tracking system. The bands are constantly connected to a vast system of sensors and transmitters within the boundaries of the park. Although presently concentrated in parks and resorts, the idea of combining the convenience of a wearable accessory with the efficiency of a mobile application, is a trend that will most likely go beyond the borders of Walt Disney World and spread to other parks, resorts, or even academia. Think of the Magic Band as Disney’s answer to the Apple Watch®. It really is a beautiful concept that has many positive affects. The beauty behind the otherwise nondescript bracelet is the combination of a logical approach to business needs and the creation of a more efficient trip to the “happiest place on earth.” Instead of spending time in lines, behind the computer, at Guest Relations, or at FastPass kiosks, the park guest can spend more time with family and friends while customizing nearly every element of a trip to Disney World. The Walt Disney Company may seem like its leading the pack with integrating wearable technology that serves as a massive way to collect, organize, and attribute data—and in may respects it is—but for many years now, retailers have recognized this trend for what the customer is looking for—a more experiential and participatory relationship with the vendor or brand. In a published study conducted at the Fashion Institute of Technology (FIT) in New York, researchers uncovered some mega trends that are directly impacting the customer’s experience in brick-and-mortar stores as well as online retailers. Both traditional and non-traditional retailers are recognizing the need for the customer to be digitally linked to the brand or store just as they are digitally linked to social media and other media outlets. Between now and 2020, the digital world is estimated to double in size every year between now and then. And, it is projected that the number of smartphones will surpass 2 billion (US) dollars by 2016 (Bell, et al, 2015). Retailers cannot ignore this, and legacy retailers will have to restructure and adapt to the growing digital media trend or be left behind and face the inevitable. By retailers and other providers of goods, services, or experiences embracing new media and digital connections via mobile technology, an additional layer in the retail landscape is constructed to further engage the consumer in multiple ways. On the plus side, everyone benefits. Consumers have a quicker and customized access to the goods and services they buy on a regular basis anyway, retailers are able to grow sales at an exponential rate, customers receive items in a fraction of the time it once took, information on both the customer and retailer are just a click away, and you can simply shop on the go—those impulsive buys continue way past the end caps at the supermarket or department store. However, there is a darker side to this symbiotic relationship: loss of privacy. This is not always a malicious action, but by integrating digital media and mobile technology into the retail and hospitality landscape, companies have a copious amount of data that can aid in decision making and provide the company with another revenue source by selling data to the highest bidder, so to speak (Ball, et al, 2015). In respect to the Disney Magic Bands, which are currently an option in the newly launched MyMagic+® program of vacation/visit management, all the conveniences of the bracelet-like device come with NSA style monitoring by The Mouse (Dockterman, 2014). The constant monitoring and data collection comes in a shiny package. What parent wouldn’t want to set up a child’s visit with a “surprise” visit from his or her favorite Disney character? By signing up for (or you could think of it as signing away of privacy) certain features in MyMagic+, character performers (those employees that are dressed as a face or fur character) in the park can see that a particular child (or even adult for the matter) want to meet them. And by accessing the MagicBand’s GPS tracking system, the character knows where the park guest is and perhaps even where they are heading based upon dining, hotel, or attractions reservations. With the ability for the MagicBand able to track location and serve as a form of payment, post-Snowden, there are worries that a clever hacker can access the band and be able to steal the payment information or be able to be a stalker (Dockterman, 2014). Thanks for the link to my articles! I originally wrote this as a paper for a PhD level graduate class I took in the fall at the University of South Florida (where I earned my MA in Media Studies).